What is the modern day status of the African American male? 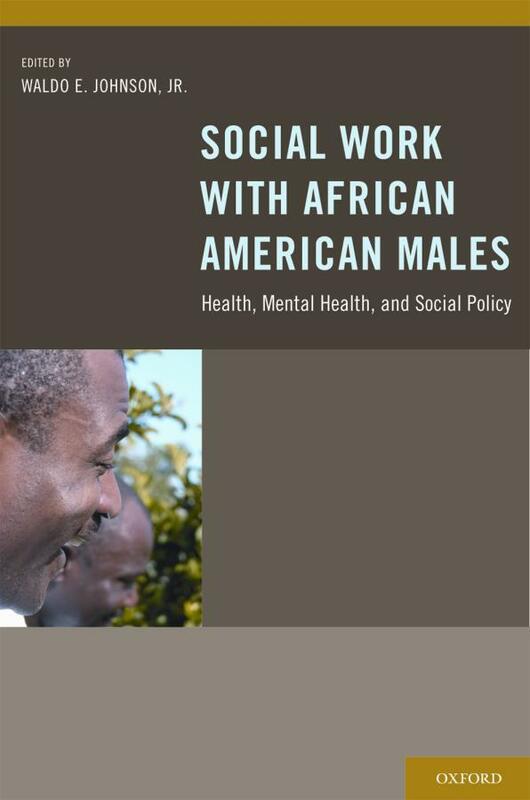 Thoroughly examining this critical and often neglected subpopulation, a new book discusses the conflicting perspectives, roles, and identities of African American males from a social work standpoint. Examining African American men from adolescence through adulthood, Social Work with African American Males: Health, Mental Health and Policy tackles both the historical and modern issues of African American masculinity from a unique vantage point. University of Chicago School of Social Service Administration Associate Professor Waldo E. Johnson, Jr. and his contributors seek to shed new light on the fundamental question of African American male health in the present day in this groundbreaking volume. Fatherhood is one of the most important topics that Johnson examines. What does it mean to be an African American father? What are the personal, community-based, and social barriers that can block them from fulfilling that role? In what manner does a family’s structure affect paternal involvement amongst low-income African American fathers? How does incarceration and similar obstacles impact fatherhood? Johnson and his contributors confront these socially difficult and causally complicated issues with special attention, seeking to better frame these inquiries and to provide socially relevant and helpful answers. Social work initiatives have historically been reluctant to provide aid to the African American male subpopulation for a variety of reasons. Each social welfare response is guided by inherent gender, racial, and cultural perspectives, many of which exclude African American males from the most important services they need. Such social neglect has a profound impact on their lives, and those of their family and community members. In this regard, the volume is intended to examine “the relationship of how today’s African American male reacts and responds to his world, and how the world responds to him from a social work perspective,” Johnson said. Throughout the volume, evidence-based practice is an integral component of Johnson’s undertaking. Drawing on a compelling body of new and untapped research, Johnson combines both quantitative and qualitative findings to advance his investigation. He links broad surveys and data sets with in-depth interviews and studies to provide a holistic appraisal of African American male status. Joining associate professor Johnson in this endeavor are a variety of seasoned and emerging scholars, all of whom contribute to the book’s novel approach to the question at hand. With such diverse scholarship, the volume is able to expertly handle the sweeping scope of its question, and provide a relevant and concise appraisal of African American male status to a wide audience. Johnson’s social welfare-based examination has unique implications for policy and practice everywhere. At the core of Johnson’s thesis is that social work and welfare interventions must be improved for the subpopulation in question. Historically, the African American male subpopulation has been marginalized in regards to support and service networks, and Johnson and his co-scholars emphasizes that policy must be realigned to reflect the realities of their situation. Before changes can be made, however, we must definitively understand and challenge “how normative masculine identity and historical marginalization complicates individual and familial engagement between social work, social welfare, and African American males,” Johnson said.